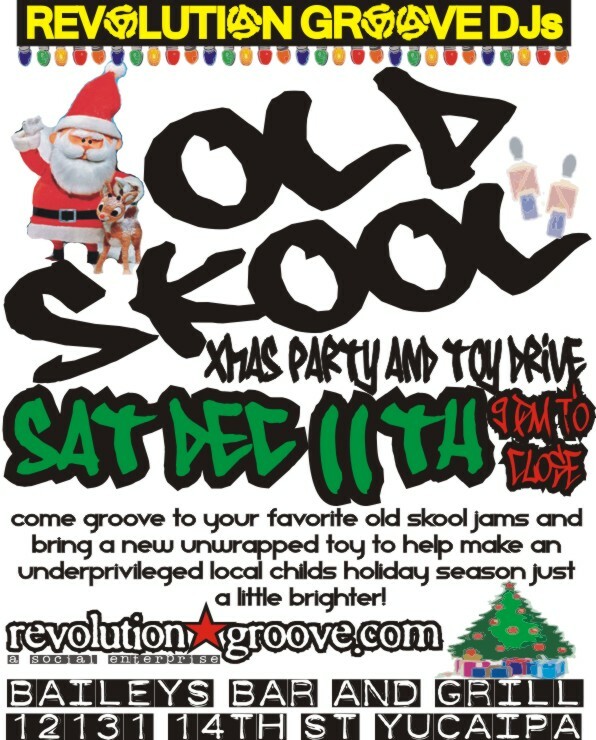 Come kick it Old Skool with Revolution Groove dropping the hottest tracks from "back in the day"... and it wouldn't be a complete RG party without a little help FOR our friends! 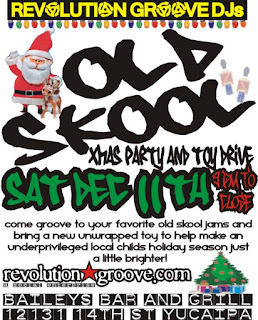 Bring a new unwrapped toy for those children that are less fortunate this holiday season. Look forward to seeing many old friends on the dance floor! JUST ADDED...Special Guest for those local "old skoolers" Hector C will be joining in on the Wheels of Steel. Gonna be a blast, come join us and help those in need!